Are you ready for sea-cliff climbing adventures? 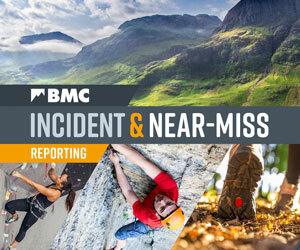 Check out the new five-part BMC TV skills series to discover the skills and techniques that you'll need for this new environment. There's no secret trick to climbing sea cliffs, but it's all too easy to mess things up, complicate the situation, or end up confused and off route. Help avoid an epic mega-faff and instead have an amazing adventure on the UK's sea cliffs with these helpful tips from Mike Cheque, creator of BMC TV's latest feature length film 'The Seaside'. Ready to Rock courses are designed to help indoor climbers make their first moves onto rock by having a fun day out as well as covering the use of some key skills and equipment. To take advantage of what is on offer you will need to have been climbing indoors a few times already. You will need to be able to put on and adjust a harness, tie in to the rope and belay a climbing partner. These courses are for people aged 18 or older. Passive protection forms a key component in the equipment used by the traditional rock climber, the alpinist and the winter climber. If you'd like to find out more about nuts, hexentrics and the other varieties of passive protection on offer, then read on and download our free, handy guide. What went on at the Women’s Trad Festival 2017? The Women’s Trad Festival (WTF) 2017 was a weekend long event where fun was had, new friendships were formed and for many, first trad routes were climbed! Women's Trad Festival is back for a second year for another awesome weekend of trad climbing in the Peak District. Even if you’re completely new to the sport, everyone’s welcome regardless of age, ability, and gender! Find out more now. From the inaugral Women's Trad Fest to Julian Lines taking advantage of the full moon spring tides to DWS E7 at Gogarth; from the Wideboyz smashing the Staffordshire Nose Challenge to Joe Heeley's new E9 at Dovedale, it seems like a lot has been done recently, so here's a quick round up in social media posts from the climbers' own minds and fingers.